Salut! Ciao! Buenos días! Gesundheit! I'm Malachi, and I make Itchy Feet, the weekly travel and language learning web comic. I do it as a labor of love in my limited free time. Like all the best things in life, Itchy Feet is free, and will stay that way forever. However, if you're a fan of the comic, consider becoming a patron! I love making Itchy Feet, and I want to do a lot more of it. With your financial help, I can afford the time and energy to make more, better comics. Support artists you like. Any amount means a lot to me. Thank you. All previous Itchy Feet ebooks, for free! A 5% discount off every Itchy Feet print book! My humble, honest thanks for your support. A 10% discount off every Itchy Feet print book! The week's comic a day early! Video replays of the comic being drawn, from sketch to final export! My insights into each comic's creation, from background stories to thoughts on form and style to fun facts to random nonsense! A 20% discount off every Itchy Feet print book! Your likeness in the Itchy Feet style! 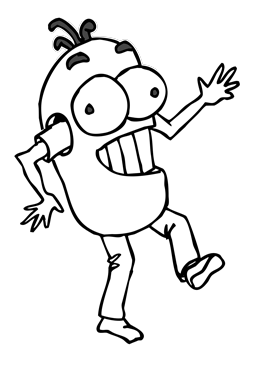 Send me a photo and/or a description of yourself and I'll draw you as a puffy little bean-shaped cartoon stick figure, for you to use however you like! Your Itchy Feet-ized portrait will be made into a badge, shared across social media and displayed prominently on every page of the Itchy Feet site! 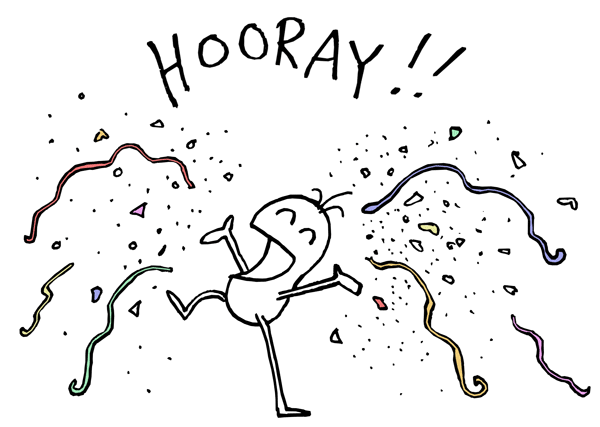 You'll receive a new, redrawn portrait every year on the anniversary of the day you became a patron! If and when we achieve the Extra Monthly Comic goal, your caricatures will be the stars of these bonus comics! Once a year, every year, I will fly to wherever you are in the world dressed in a big foam Itchy Feet costume, and entertain you for a full day with song, dance, and bulbous cartoon stick-figure drawings. I will then prepare a sumptuous meal for you and whomever you choose, and we will spend the evening discussing matters of your choosing. 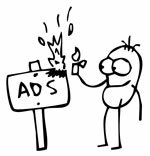 Do you hate ads? Me too! For this much I can take down all advertising and affiliate links on the site, giving you 100% pure Itchy Feet, baby, the way it was meant to be.